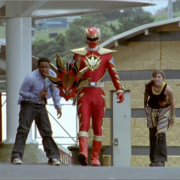 The penultimate pod of episodes for the Power Rangers Dino Thunder Flashback reveals all the secrets and appropriately sets up the finale. 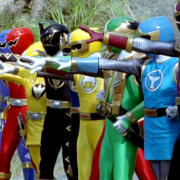 The Dino Thunder and Ninja Storm Rangers clash in an amazingly fun team-up. 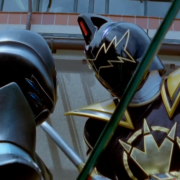 A new Battlizer, the return of Zeltrax, and the defeat of the White Ranger Clone in this week’s Power Rangers Dino Thunder reviews. 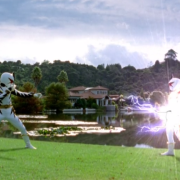 An unlikely romance and one of the best Power Rangers episodes ever are retrospectively reviewed on this week’s Power Rangers Dino Thunder. 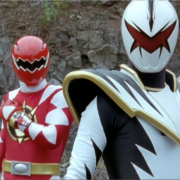 Multiple episodes recycle the “fame corrupts” plot while concluding the White Ranger arc and introducing a new Red Ranger power-up. 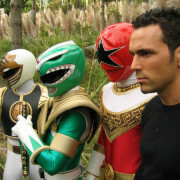 An assortment of episodes shows the best and worst of Dino Thunder, including one of the most daring and controversial episodes of the franchise. 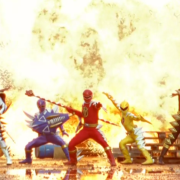 With Dino Charge on hiatus, our flashback coverage of Power Rangers Dino Thunder resumes with three more episodes.